My job as a speaker and presenter is to make your event a success, and — along the way — make your job easier. This page explains what I bring to your event and how I try to help you reach your goals. If you have questions or would like to check my availability, please email jeffrey @ davidson . net, or call me at 972-965-1830. Thank you for considering me! Jeffrey is a very entertaining and informative speaker who knows his stuff and keeps the audience thoroughly engaged. He’s also a joy to work with and one of the lowest maintenance speakers I’ve had the chance to interact with in my many experiences of planning conferences and selecting/coordinating speakers. 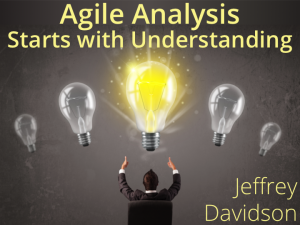 Jeffrey is a Brilliant Speaker who identifies with and challenges his audience to review how they define their roles and offers practical and current solutions for BA Professionals looking to improve their analysis skills and business processes. He is pleasure to work with and I always look forward to his take on the latest BA conundrum. 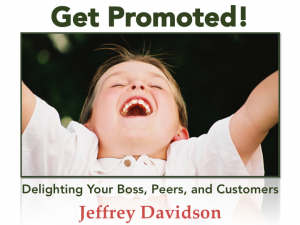 Get Promoted! The key to success isn’t having another idea. The key is moving from idea to accomplishment – combining information, persuasion, and execution into one package – you! In this keynote address, I explain how to master truly exceptional customer service, where your customers, peers, and boss rave about you getting stuff done. 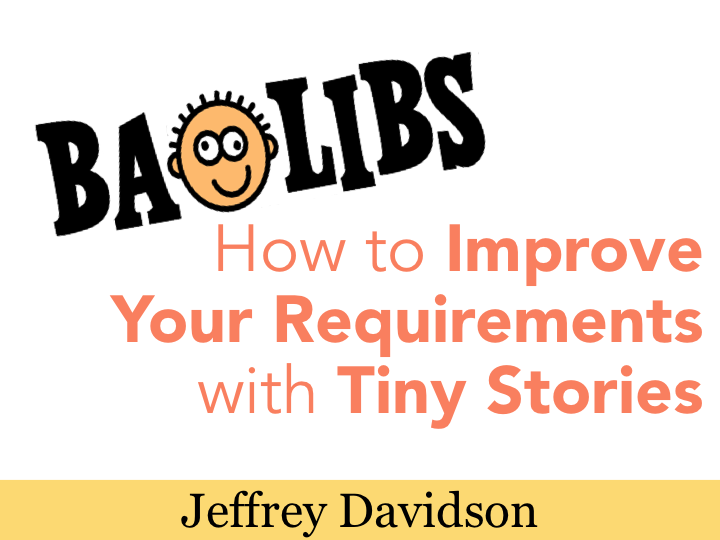 Jeffrey Davidson is a great teacher, insightful speaker, and filled with good humor and good ideas. He’s a pleasure to be around, and I have learned a lot from him. 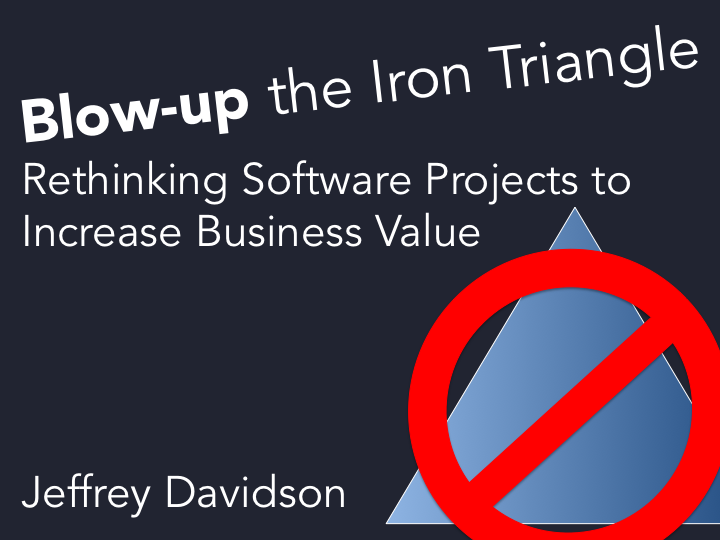 Blow-up the Iron Triangle It’s time to leave the weight of the Iron Triangle and traditional project management in the past. In this session, I walk the audience exercises and logic to demonstrate how we can accommodate change and deliver value faster! BA*LIBS Too often requirements get in the way of communicating instead of helping understanding. In this interactive session, I walk participants through how to write understandable and actionable acceptance criteria using the Given-When-Then structure (of BDD fame). 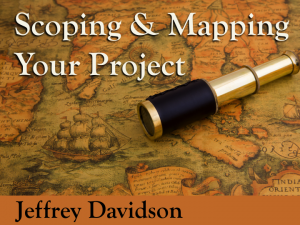 Scoping and Mapping Your Project Are you challenged by creeping scope, a muddled vision, or an unclear vision of success? 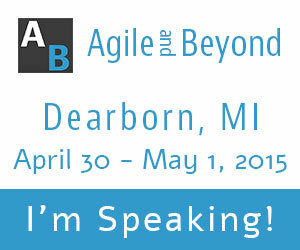 This workshop focuses on starting an agile project correctly brings clarity to the reason for the project. This interactive training session introduces multiple techniques for helping your team clarify the road ahead! Agile Analysis Starts with Understanding Users Stories, the tool teams use to break ideas down into small chunks of deliverable work are easy to describe and challenging to write. This workshop is all about writing great user stories and acceptance criteria by ensuring everyone on the team and knows what needs to be done. Training from the Back of the Room When you are ready to help your students learn with the material, then you will love the training! 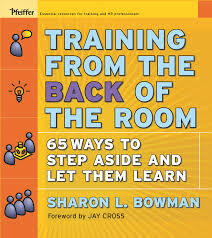 Attend this 2-day, interactive workshop, authorized by Sharon Bowman, to learn, practice, and experience how you can energize and engage the brain during your next event!